Would you listen to Ep. 1: I've Had Better again? Why? 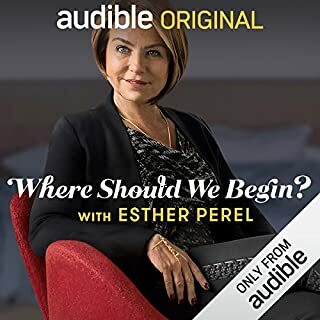 I would listen to this again simply because there are nuances to the problem-solving that Esther makes that you will only catch the 2nd, the 3rd, the 4th, or the 5th time. There's always a chance to learn and grow in a relationship. Because there are different seasons to when a certain piece of advice pertains to you or someone else. What was one of the most memorable moments of Ep. 1: I've Had Better? I honestly enjoyed listening to Esther's commentary. Particularly on how she felt she gained the trust of the wife in order to better provide counsel that would be well received. It was a surprising turn, but her input on how the turn happened was very very interesting. What insight do you think you’ll apply from Ep. 1: I've Had Better? Definitely on how to better receive what is being given. How to be mindful of that. And also, to be aware of the changes in myself that I choose to make as a result of negative feedback. I don't always have to take in wrong feedback. I can choose to correct any situation through communication so that it doesn't have to get to a point of bitterness and anger due to a lack of communication.